Welcome to the GRASS website! This site is now an archive resource for those interested in developing screen capture skills. GRASS stands for Generating Resources and Access to Screencapture Software and the project was run to help staff and students at the university to use screen capture technology. Just click on the ‘Why?’ tab to find out about the benefits of using screen capture technology and the ‘How to…’ tab for a series of 60 second instructional videos. 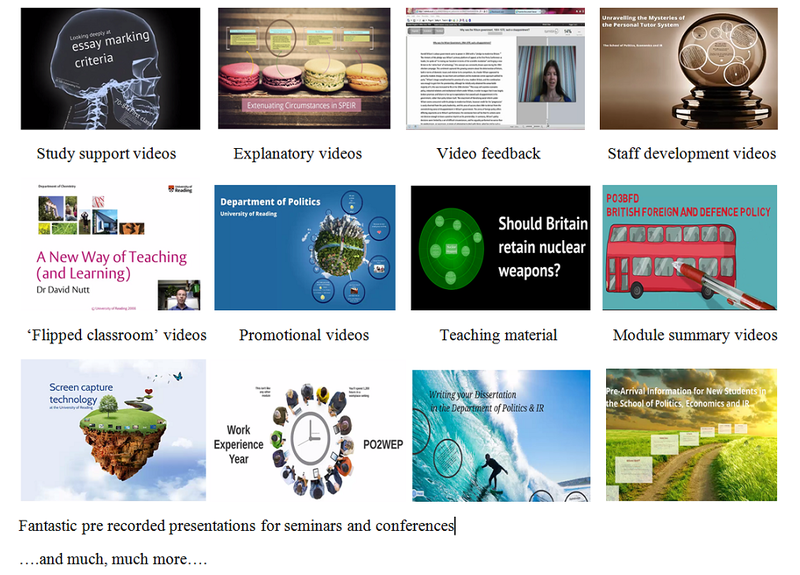 ‘Screencast’ bank contains plenty of examples of screencasts already being used at Reading while the ‘Learning capture’ tab looks at broader ways in which colleagues are using technology. We also have an archive ‘blog’ section with input from across the university.